Facebook has been one of the powerful sources for business organizations to improve their social media marketing strategies. Using Facebook effectively brings more customers and thus more leads for your lead generation campaigns. More than 700,000 business are using facebook. Most of them has integrated “Like feature” in their websites. This gives an insight of usage of social media networking sites such as Facebook for business. This article gives the importance of developing facebook fan pages and using them effectively for your business. Facebook is one of the top social communities that have millions (400+) of active users searching for content online and sharing their searches with friends. Facebook gives options for Businesses and marketers to create their own facebook fan pages and share their business information with facebook users and subscribers. With facebook fan pages, users can easily reach millions of customers in facebook and share their business information with them. Users can easily become business fans and also share their comments on products which they like in your business. Two way communications is possible through facebook fan pages. By Integrating Like Facebook plug-in with your website, users need not visit back facebook and then become your fan. Add your facebook fan page link in your website using popular toolbars like Wibya and users can share and like your website just with the click of button. There are many advantages for business owners by creating facebook fan pages and integrating facebook with their business. One can develop their own facebook plug-ins or use top social media marketing tools which can allow to integration easily. Wibiya Tool bar is one good social media marketing tool that can be used for your website. It allows to share your facebook like page, allows users to directly become fans through facebook fan pages as users need not visit facebook to become fans. So users will not leave your page at all. • More the visibility in social media communities like facebook, more is the traffic for your website. • As traffic increases, search engine rankings increases. 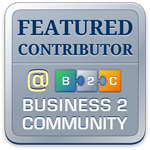 • More Inbound Links for your website through social media communities. Facebook has a massive influence on readers in the web. Start integrating your website or business with facebook and improve your business online. Add facebook plug-ins to your site in 3 easy steps.